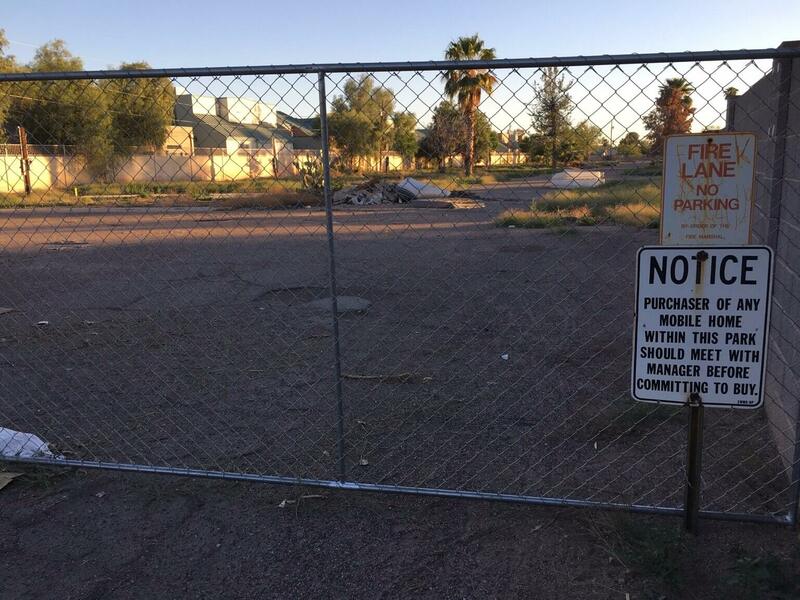 The owners of a former mobile home park in Tempe had been mum about what their plans for the property were, but Tuesday night the first hurdle towards building on the former trailer park property was successfully passed. Earlier this year, Treehouse Group, a real estate management company in Phoenix, sold a trailer park it owned and gave residents a 180-day notice to vacate. The move caused controversy and fostered discussions about the lack of affordable housing in Tempe. The property, now vacant, overgrown with weeds and full of the scattered debris left behind by former residents, is slated to be the site of a new development called The Level. The Level will consist of 80 condos that Porchlight says will have an “owner occupied feel” as opposed to an “apartment” feel. A render of what The Level will look like that was supplied to the Tempe Development Review Commission. Tempe’s Development Review Commission unanimously approved the project on Nov. 27. Porchlight Homes, based in Gilbert, is the new owner of the property, and this project will be the company’s first in Tempe. At a Porchlight community in Gilbert, three-bedroom homes start at $288,000. At the company’s Phoenix community, homes start at $530,000 for a three-bedroom. Stephen Earl, the attorney representing Porchlight, said the company plans to have “townhomes in the affordable range, at least the top end of the affordable range,” when speaking to the commission. Earl didn’t say what Porchlight considered the “affordable range,” and none of the commissioners asked him to expound on the matter. A report commissioned by Tempe last year found that Tempe needs an additional 21,000 units of affordable housing by 2040, and Tempe’s cost burden on homeowners and renters is higher than the national average. Forty-two mobile homes previously stood on the property, and many of the people who lived there had been there most of their lives. The Level will have its first hearing before the city council on Dec. 20.